Alright, I give up. I was hoping I'd review as many "pure horror" SCP's as "funny" SCP's, but it's truly difficult for me to get into the completely serious ones. For every epic interdimensional terror on the wiki, however beautifully written, there's another one like this giant underground duck maze that calls out to me harder. It looks like a normal duck, at the surface, just sitting permanently on the grass in one place, but that's only the tip of the duckberg. SCP-2384 extends deep below the earth in a labyrinth of living duck flesh, feathers, beak-tipped tentacles, bird bones and weird, fleshy pods. 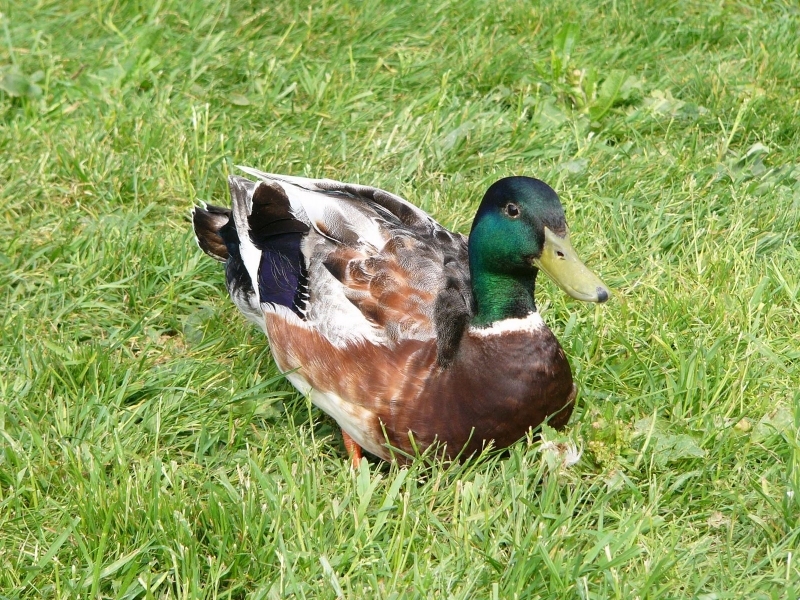 I absolutely love the SCP's with messed up exploration logs, and this one's pretty short, but pure gold when we get to the part where the duck seems to take a genetic sample of the human intruder and replicate their face, which can only quack. But wait! It gets better still! A duck head develops elsewhere in the network, and speaks in the same guy's voice, but only speaks hilariously broken dialog about being big duck and wanting "bread." "Red bread," i.e. meat to keep its vastness growing. How else will it remain the boss? Bread isn't actually good for ducks or the environment they live in, so I have to wonder if BIG BOSS DUCK didn't begin with little old ladies handing out bread crumbs and simply got way out of hand.